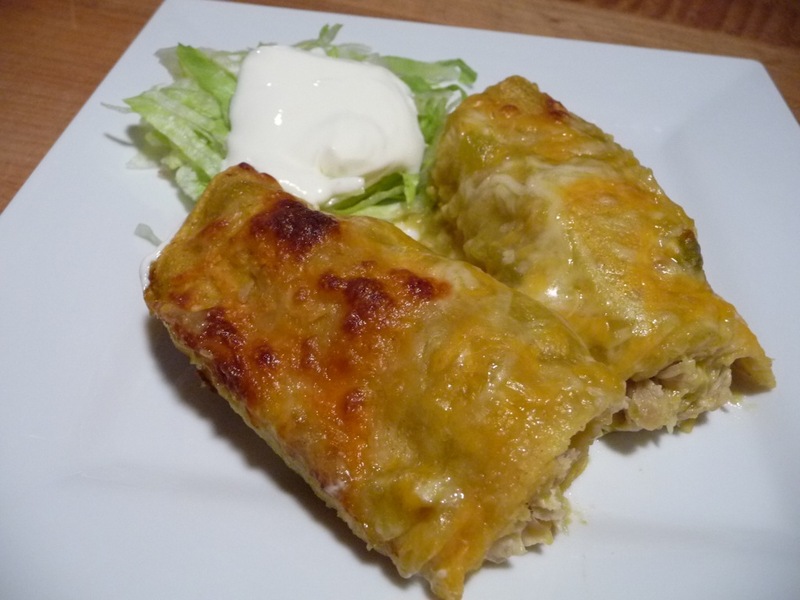 This easy recipe for chicken enchiladas features green chile sauce. Purchase a small roasted chicken from your local grocer’s deli department. They did the cooking and hard work, you simply cut it up and shred it for the enchiladas. We’ve made these Chicken Enchiladas quite a few times, but always with a red enchilada sauce. This time we’re going all green. The recipe is super easy and the steps are simple – and maybe, just maybe, by going “green” we’re helping save the planet. (Okay, not really). Read on for the amazingly simple recipe we use for these delicious chicken enchiladas – red or green! The full recipe is at the end of this post. 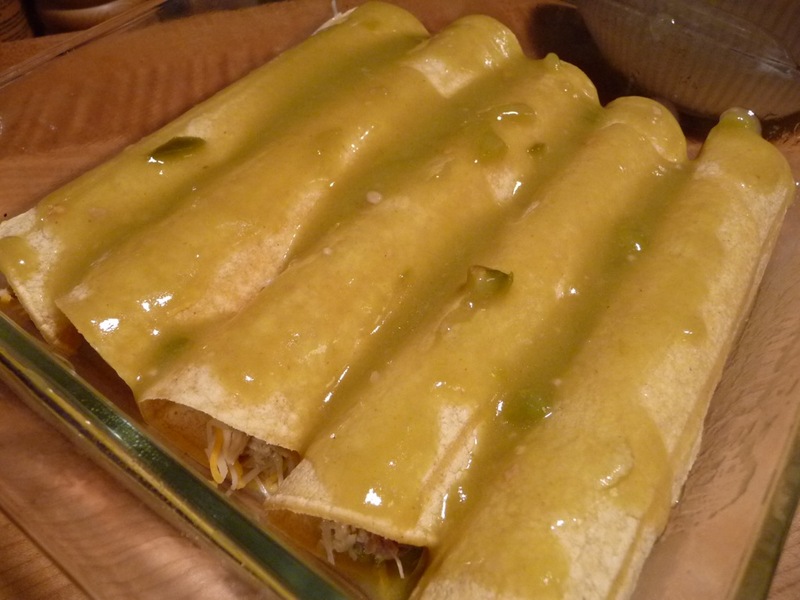 We used Hatch brand green enchilada sauce and green chiles. You can use any green enchilada sauce you wish, and the canned fire-roasted chiles can also be your favorite. We like the Hatch Brand products. Next up, you will need a small roasted chicken from your local deli. Easy peasy and a great time saver! Take that deli roasted chicken and break it down and chop it up. Place it in a skillet, add about 1/4 cup of sauce and the green chiles – heat over medium-low heat to warm the mixture. Roasted deli chicken, shredded with green chiles added. Next you will will spoon the chicken mixture onto the corn torillas along with your favorite “Mexican” style cheese. We used a bag of “Four Cheese Mexican” from the dairy case. 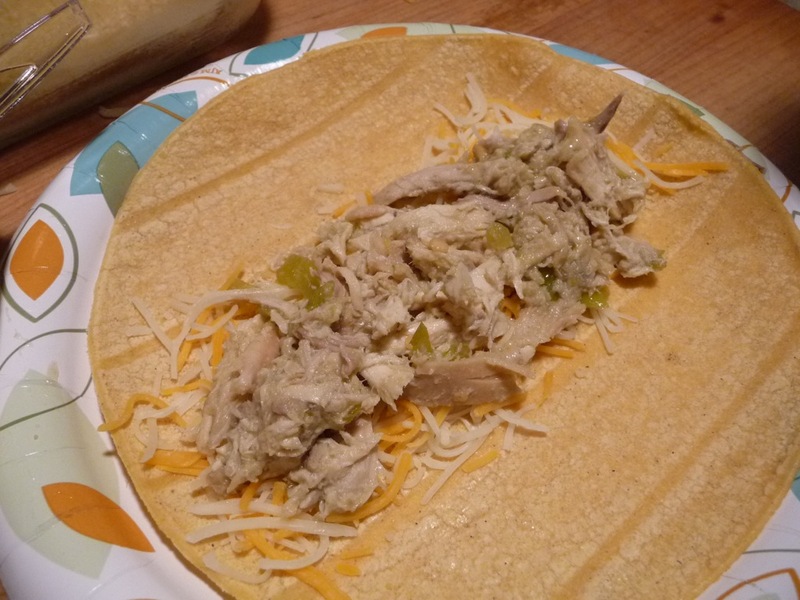 Spoon cheese and shredded chicken mixture onto corn tortillas. 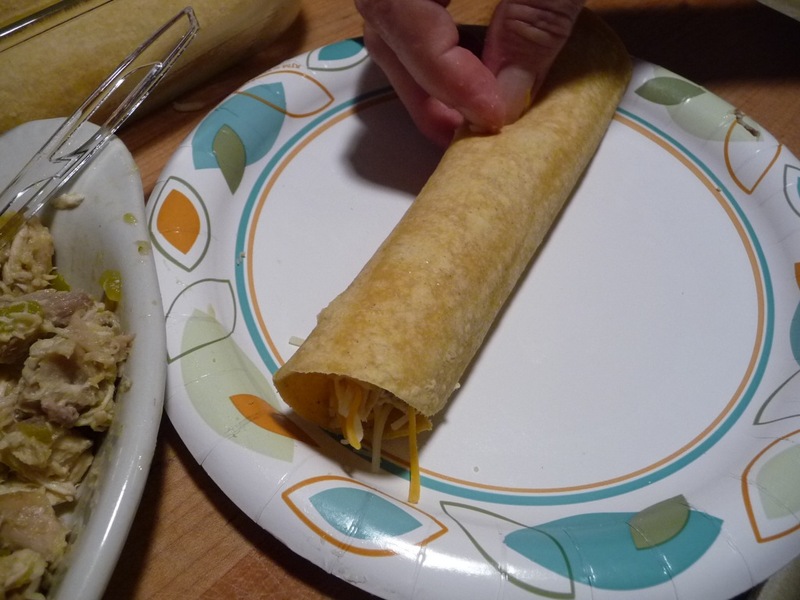 Roll tortilla tightly and place in baking dish (dish lined with a few spoonfuls of enchilada sauce). Roll corn tortilla tightly to place in baking dish. 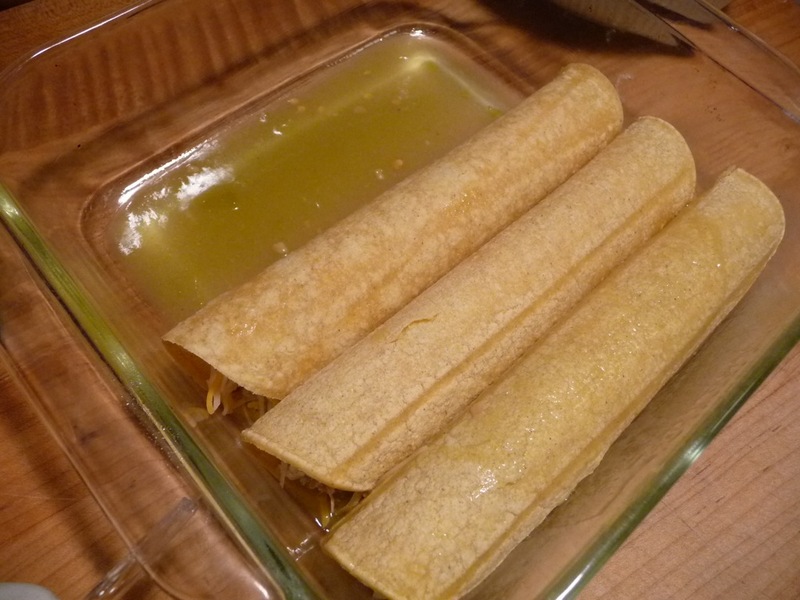 Your rolled up corn tortillas will begin to look like this in the baking dish. 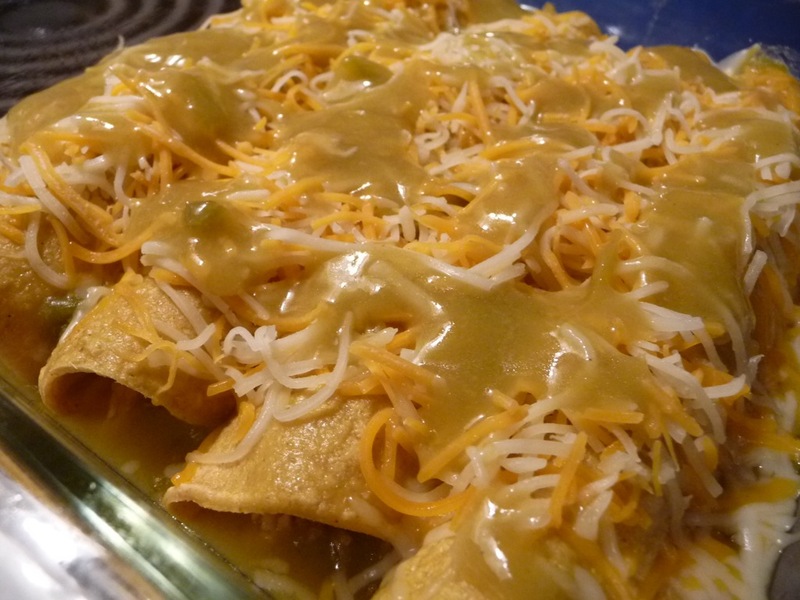 Baking dish ladeled with enchilada sauce, with corn tortillas on top. After filling baking dish with all tortillas, you’ll add more sauce and cheese. A full dish, add more sauce on top. Now, more cheese. Yea, more cheese. Add more cheese. It’s a good thing. After they bake for about 20 minutes at 350 degrees, they’ll look like this. The finished Green Chile Chicken Enchilada dish. Cut up roasted chicken, and shred. 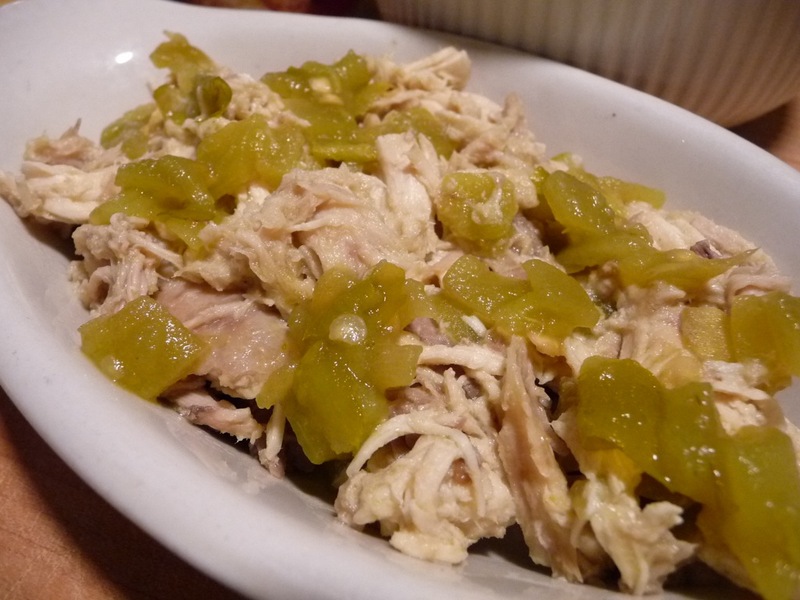 Warm up shredded chicken in skillet with the green chiles and 1/4 cup enchilada sauce. Place tortillas on plate, cover with wet paper towel, heat in microwave for 30 seconds to soften. 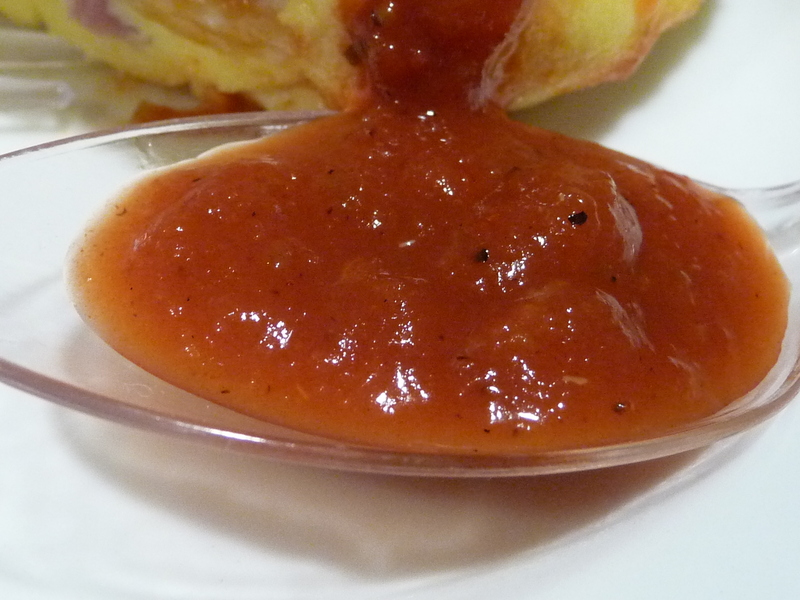 Spoon enough enchilada sauce into bottom of baking dish to cover (about 4 tbls). Onto each warmed tortilla, sprinkle on some of the cheese, spoon about 3-4 tbls. warmed chicken mixture, roll tightly, placing seam side down into baking dish. Top with remaining enchilada sauce and shredded cheese. Bake uncovered at 350º for about 20 minutes, rotating dish half-way through. Add more cheese (and sauce if desired), return to oven and broil for 5 minutes until browned. Serve with sour cream and shredded lettuce, and rice and beans if you desire. Do you have a favorite Chicken Enchilada recipe? Please share it with us in the Comments below. I’d love to know how to kick this up another notch! Fat Cat Foods has launched their newest creation, Cat in Heat. Their hottest sauce yet is bright red in color, is medium thick, and brings a hot kick all of its own. Urged by their customers to add an extra-hot sauce to their initial line-up – Fat Cat created Cat in Heat and delivered.